With that in mind, I started buying books on Apple Books, formerly known as iBooks. And if my recent accomplishment of “More books than Facebook” is any evidence, it was the right decision. I was reading more and I was actually finishing them. This locking down of books received negative impressions from veteran readers; but for me, it didn’t matter. I live in the Apple ecosystem: Macs and iPhone. These are the only devices where I’d end up reading the books. So, it was fine for me. The only downside of this lockdown is that if I ever decide to move out of the Apple ecosystem, my library won’t go with me. Whatever library I build up over the next few months or years would have to be accessed through an Apple device only. I don’t see myself leaving the Apple ecosystem anytime soon. 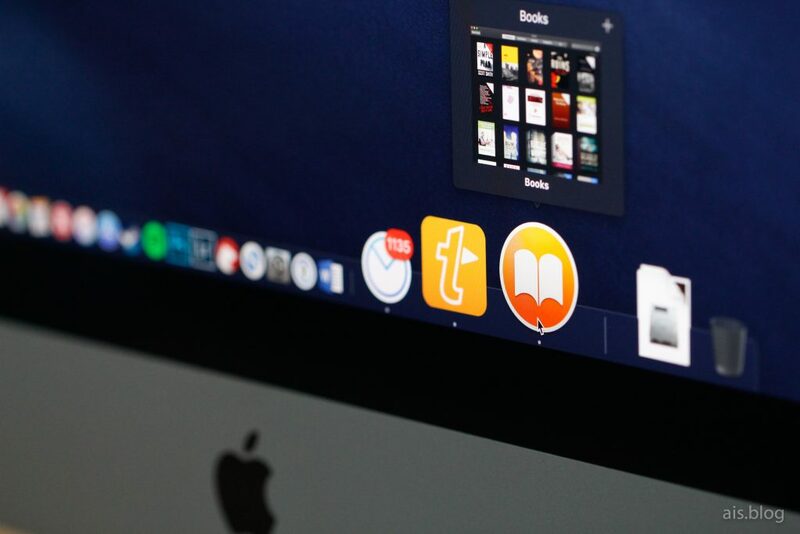 But before you invest into a rich library on Apple Books, this is something you should know. 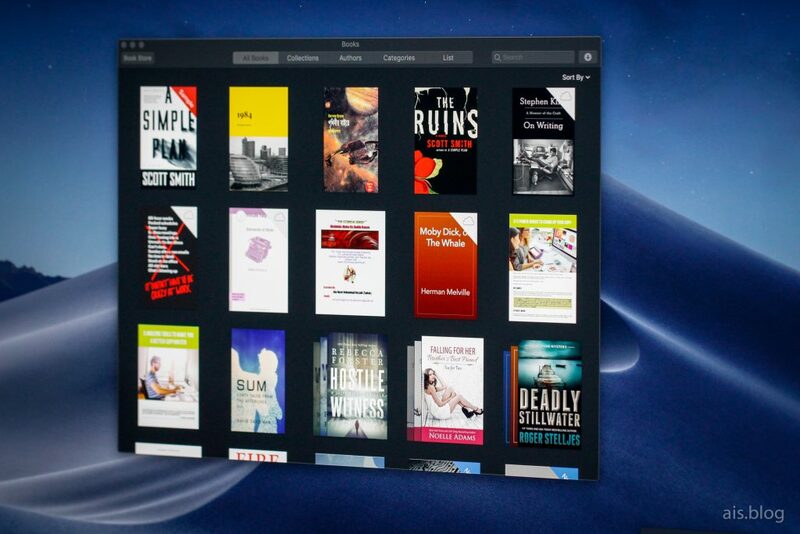 There are a few great things about Apple Books. I can use iTunes credit, added via iTunes cards, to purchase books. Most of the books that I searched for are available on Apple Book Store, making it evident that the Book Store is large enough to cater to my reading needs. Perhaps the best feature was not that all the books were synced automatically across all of my iCloud-connected devices, but the fact that it remembered the page I was reading. It’s like Netflix, you know. You can start watching a movie on Netflix in one device, stop, and then resume watching on another device. Netflix will remember where you paused so you don’t have to seek at all. Apple Books remembers this too. This simple yet effective feature made switching between my 27-inch 5K iMac and my iPhone 8 Plus a breeze. I started reading on the iPhone late at night. The next day, when I was at my computer, I just opened Apple Books app on Mac and it resumed my reading on the same page I was on the previous night. It works with multiple books too. Like, I was reading “The Ruins” over the weekend, but I was also reading “On Writing” by Stephen King. No matter which book I’d opened, it took me to the page I was reading the last time I opened it. Things like this may be little on their own, but when combined, they become what make the Apple ecosystem a great joy to be in. 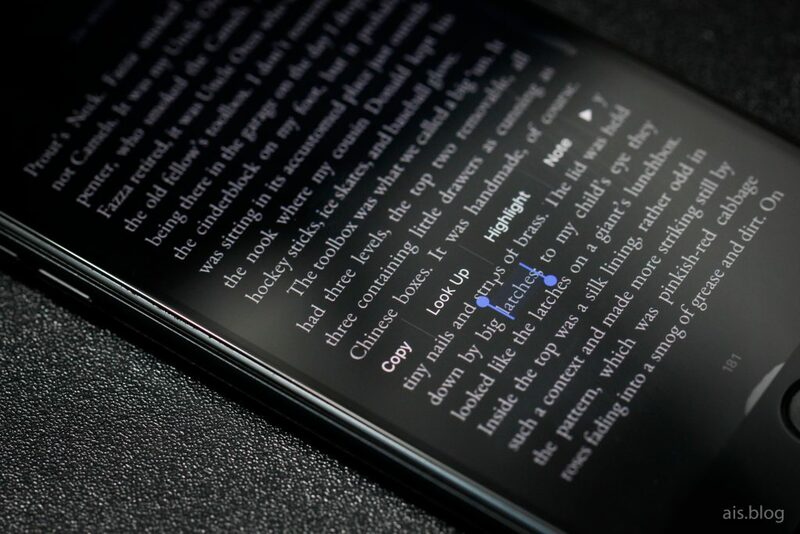 Speaking of customizability of reading experience, the dark mode comes into mind. You can change the background color of the pages (along with the color of the font), switch between a handful of serif and sans-serif fonts, change brightness, and of course, change the font size. Since English is not my native language, this “Look up” option that lets me search for word meaning without leaving the app is a blessing for me! You can also mark highlights or add bookmarks to pages to come back to at a later time. None of the Apple Books features are groundbreaking. In fact, other than the new name, Apple Books remains largely iBooks. It’s just the fact that I haven’t seen a lot of people talking about Apple Books and I think it’s one of those apps that are bundled with every Mac and iPhone/iPad but are overlooked by the majority of the users. 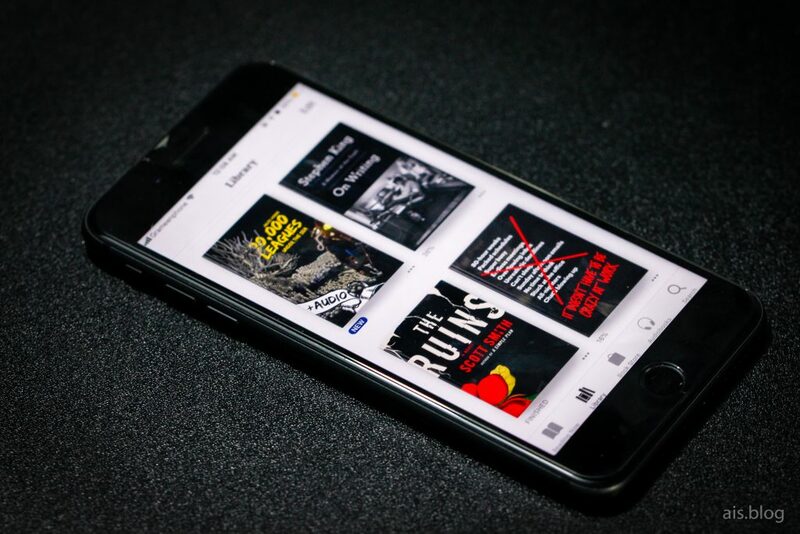 If you’re thinking of investing more time in reading books and you’re looking for an effective way to do it, I think that Apple Books on your iPhone and Mac could be a great thing to try. Kindle also has an app for iPhone, so if your Kindle library is rich, you can use that for reading on the go too. The key here is reading books on the phone. Many people may not enjoy reading books on their phone, but I found it to be effective enough to recommend that you try and see for yourself. Have you read any book on your phone? > Years ago, I purchased a Kindle Paperwhite from Best Buy during one of my trips to the United States. I bought Paperwhite Kindle from a Best Buy earlier this year in April.I am loving my Kindle! I see the point your are making with Apple Books and glad it is working well for you. For me though, I get distracted easily on iDevices and I really hate to read on the phone’s smaller screen. For now, I am enjoying the Kindle. I listed more reasons for why Kindle in this blog post of mine. Kindle backlights are some of the best if not the best on the market. The e-ink technology is definitely good on the eye too! Great post! I agree with all the points on that post. I loved Kindle Paperwhite feature-wise. But I just wasn’t carrying with me everywhere. Coupled with the Amazon account issues that prevented me from buying books that I wanted to read, it just didn’t work for me.